ATTENTION TRAINEES: Please scroll down to the Facebook feed at the bottom of the page for daily training information. The Patriot Training Foundation, formerly St. Louis Military Officer Support Foundation (SLMOSF), is an all-volunteer organization that provides leadership, fitness, weapons, combatives, medical, water confidence, land navigation and tactical training without cost to those from the Greater Saint Louis area that have been accepted to, attend or serve as an active duty commissioned officer through a United States military academy (United States Military Academy-West Point, United States Naval Academy, United States Air Force Academy and United States Coast Guard Academy), R.O.T.C. or Officer Candidate School. We also provide this training to select enlisted personnel with a combat or lifesaving military occupational specialty (MOS). In 2014, we began offering our program to law enforcement departments and currently assist local tactical operations units with advanced training. Military programs, courses and qualifications are highly competitive. The moment a young man or woman decides to pursue a career in the Armed Forces, they are instantly judged against their peers. Each year, our sphere of influence expands dramatically. Thanks to the support of St. Louisans, we expanded our training to include basic combatives, water confidence and force on force tactical simulation via paint markers. Nearly 50 local high school seniors train with Patriot Training Foundation each year prior to their entry into a military officer program. Each commissioned officer has the responsibility to pass the training along to fellow leaders and those under their command. As a result, the impact Patriot Training Foundation has becomes impossible to estimate and reaches to U.S. military installations across the globe. Our facility provides law enforcement with several live fire ranges including a clearing house and 1200 yard sniper lane. We also provide low/no light training via an abandoned mine. West Point named Cadet Captain Winston Boldt and Patriot Training Foundation alumni the Deputy Brigade Commander for 2015. He is the First Captain’s principal assistant in exercising the responsibility to the Commandant for the overall performance of the Corps of Cadets. In 2010, 1,400 New Cadet Candidates entered West Point’s “Beast Barracks” entry training program. Six weeks later, Patriot Training Foundation trainees placed first, second and third out of the entire class. Patriot Training Foundation prepares 40-50 men and women annually from the Greater St. Louis area with critical training that will help prepare them for highly competitive military careers. Recent cuts in spending and support of the U.S. military and their training have left our servicemen and women at risk while carrying out their missions. PTF helps fill that gap so our troops are optimally prepared to defend our nation. Patriot Training Foundation is an investment in our region and our nation. Our first trainee and the inspiration behind PTF has finished his highly decorated service to his country, returned to St. Louis, earned a MBA through Washington University and launched a veteran-owned business, thereby continuing his record of leadership. When possible Patriot Training Foundation donates ammunition for use on our range and needed equipment to St. Louis area law enforcement units. Battle against pain, tension and discomfort the natural way with custom-made SLMOSF Skull Mother Earth Pillows®. Use at room temperature, warm in the microwave, or chill in the freezer. Mother Earth Pillows® are made with the natural bounty of Mother Earth using Golden Flax Seed, herbs, spices & 100% cotton fabrics. Each pillow is hand-crafted with love & joy by the staff of Mother Earth Pillows, LLC with your comfort in mind. Just $20 plus shipping! Buy yours today! It is with great sadness that we share the news that Michael Collins Sr. passed away 29 OCT 2017 from a massive heart attack. He will be missed terribly by his wife Sarah, five children, (all who have trained with SLMOSF and serve(d) our nation), their spouses, grandchildren and many friends. 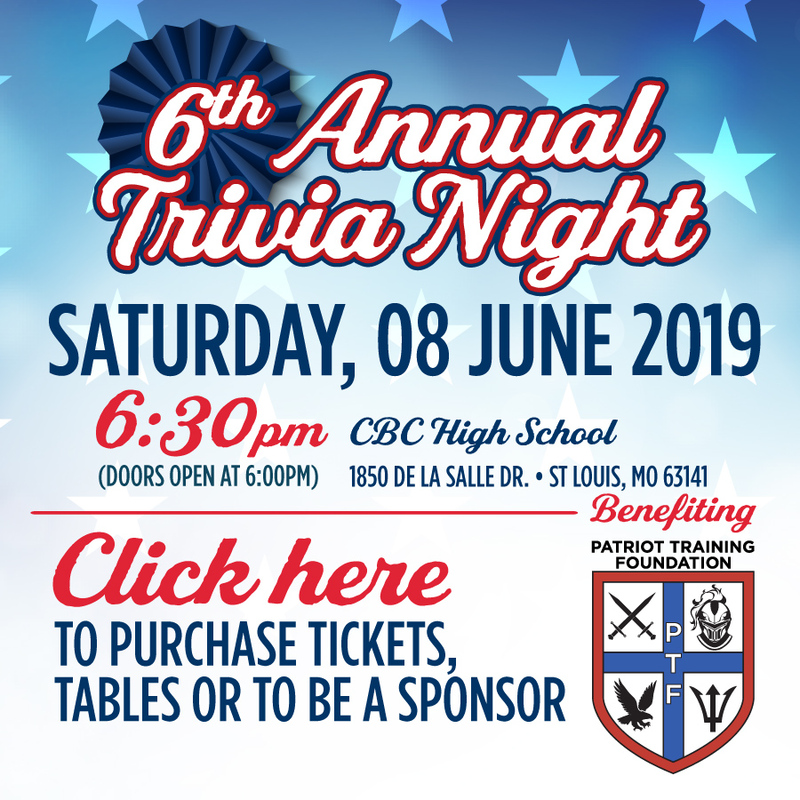 In lieu of flowers, the family has requested donations be made to the Patriot Training Foundation (formerly the Saint Louis Military Officer Support Foundation) in his memory. Patriot Training Foundation is an all-volunteer organization that provides advanced training to military and law enforcement, including all five Collins children. Michael also served on our Board in previous years. View his full obituary here. Click here to make a donation his memory. 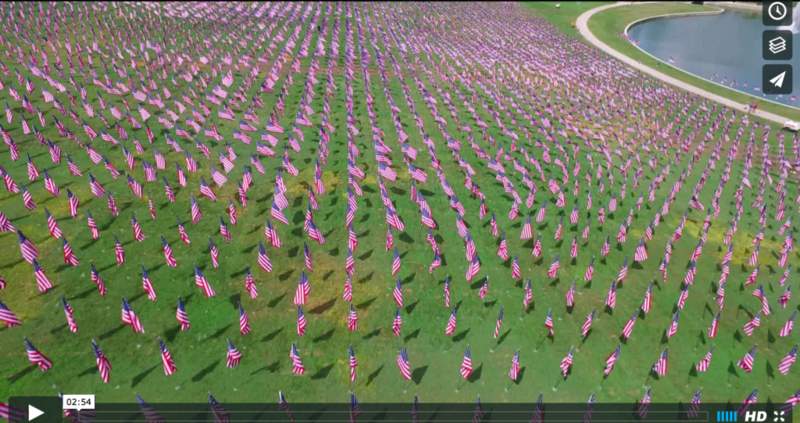 Patriot Training Foundation (formerly Saint Louis Military Officer Support Foundation) was proud to be a part of Flags of Valor, the display of 7,000+ flags on Art Hill in Forest Park, St. Louis, MO in 2016 to commemorate the 15th anniversary of 09•11•01. The flags were displayed from September 6-11, 2016 and each flag was personalized with a dog tag and photograph of a soldier, sailor, airman or Marine who lost their life in the War on Terror since 9•11•01. 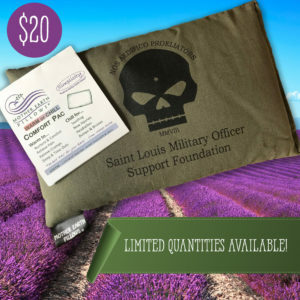 The proceeds from the sale of flags will benefit 4 military related charities – Semper Fi Fund, Missouri Military Memorial Foundation, Greater St. Louis Honor Flight and the Patriot Training Foundation (formerly the Saint Louis Military Officer Support Foundation). Share your Flags of Valor stories and photographs on Facebook and Instagram with #flagsofvalor and #honorthefallen.